Chloe Hobbs is a sorceress-in-training, as well as the owner of a extremely popular knit shop called Sticks and Strings. As a knit shop owner, Chloe has it made. She has an unlimited supply of yarn that never tangles and a huge fan club. If life were this easy, I think we would all be especially greatful. Outside of the knit shop, Chloe has a whole new set of problems. She's just getting used to having a human boyfriend, Luke MacKenzie, and taming her new found magical powers. When Luke's ex-wife walks into town spouting about her being contacted by the ghost of her lost daughter Steffie things start to get rough. Luke MacKenzie was glad to get away from Boston. He could start a whole new life, and not have to worry about his past. The past hurt too much, and he didn't want to hurt. When his ex-wife comes into town she brings back the pain he's been hiding from for so long. She's either crazy from grief, or she's really seeing ghosts. This is no ordinary ghost though, it's the ghost of their lost daughter, Steffie, and she needs their help. Karen MacKenzie has been fighting the grief of a lost child for nearly two years. It's hard to know that you could go on living while your child does not, and Karen can't bear the pain any longer. When her dead daughter tries to contact her from the grave, Karen knows she's going to need help. The only person she can turn to is her ex-husband, Luke MacKenzie, and he's living in a small Vermont town called Sugar Maple. Little does she know that by entering Sugar Maple, her human blood will shift the balance of magic, and call forth a Fae leader that may be the end to both Chloe Hobbs and Sugar Maple. 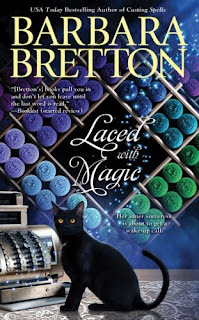 Laced With Magic is the second installment to the Sugar Maple Series by Barbara Bretton. I highly recommend reading the first novel in this series before picking up this book. 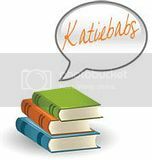 The first novel is called Casting Spells, and it will give you a little more insight on Chloe Hobbs, and her romance with Luke MacKenzie. I honestly loved Casting Spells, and was overjoyed to find out that Laced With Magic was a follow-up to the Chloe Hobbs / Sugar Maple story. This was an extremely well written novel, and I had a hard time putting it down. I probably could have read this book in one sitting, like I had done with the first installment to this series, but time was not something I had these past few days. It was easy to become intrigued with this novel, because Bretton has a way of describing her characters so you feel as if they are a close friend. Bretton's characters have feeling, depth, and a witty humor, making you want to both laugh and cry with them. I'm looking forward to more installments to the Sugar Maple series, and am quite delighted to find out that there will be two more in the future! I'd like to thank Dorothy at Pump Up Your Books for letting me know about this wonderful tour. This is my first tour with Pump Up Your Books, and I have to say I have a feeling I'll be working with them more, as they are very kind, and it's been a fun experience. I'd also like to thank author, Barbara Bretton, for sending me a review copy of Laced With Magic, along with a wonderful tote bag promoting her Sugar Maple titles. I've been carrying it with me everywhere! I always need a good bag to carry my reading material around with me, and it's been very handy these past few weeks. This book was also part of the August Reading Challenge. Fantastic review. I LOVED this book and am working on my review right now. Juju at Tales of Whimsy.com - Thanks! I'm glad you enjoyed it. I can't wait for the next in the series :) I'll have to stop by and read your review!